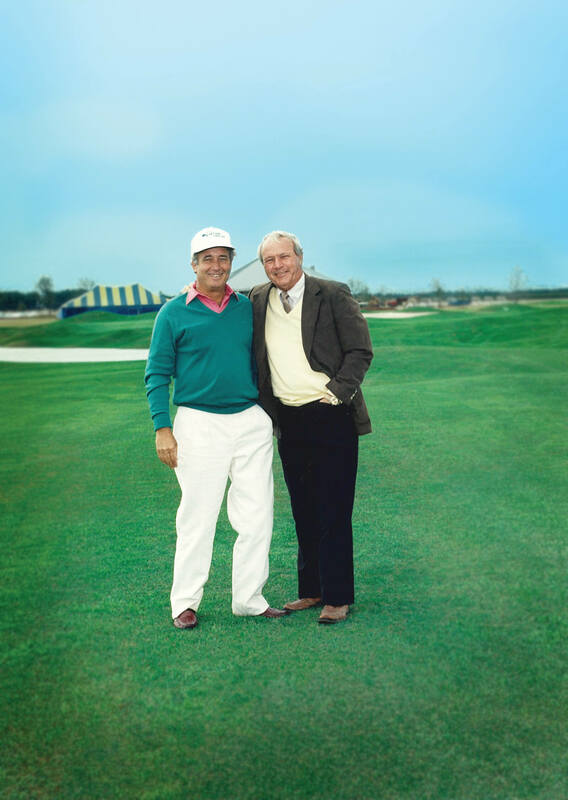 A former farm boy who worked his way up from gladiolus farm toiler to successful businessman, and who had a vision of transforming a sleepy coastal Alabama town into a world-class golf destination. 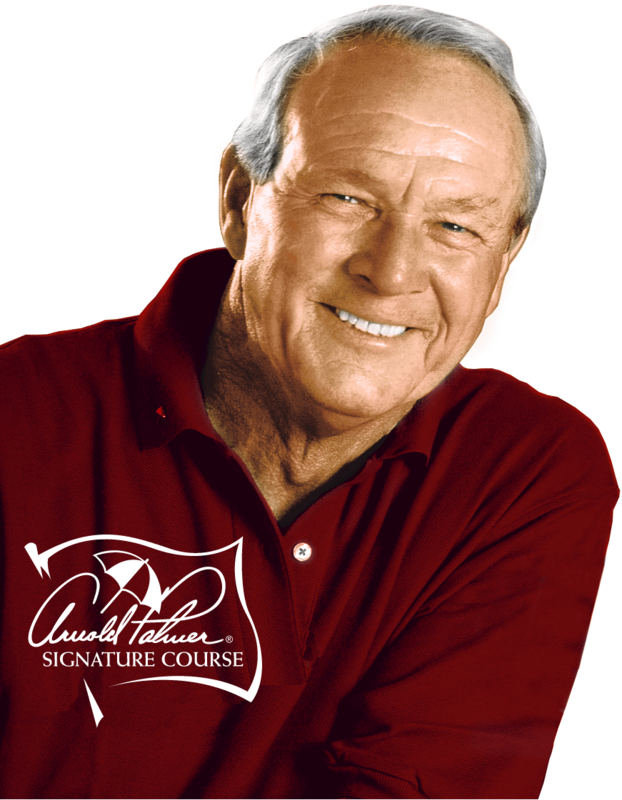 Another son of the earth who left Latrobe, Pennsylvania to become one of the world’s most beloved golfers. A serendipitous confluence of flower-growing centers, powerful personalities and time spent harvesting sod that resulted in an enduring center of Southern charm and golfing excellence. That’s the story of Craft Farms Golf Resort. R.C. Craft was the farm boy, raised on a tenant farm in rural Blakely, Georgia. But news of work in the gladiolus fields of Fort Myers, Florida caused the Crafts to cease plowing Georgia dirt with mules and move farther South. When the hot Florida summer sun grew too harsh for gladiolus farming, Foley, Alabama’s milder climate was perfect for growing glads. R.C. started his gladiolus operation in Foley in 1954 to take advantage of that fact. The burgeoning beach life of the Alabama coast sparked an idea in R.C. He’d watched as Americans’ growing love of the coastal life caused Fort Myers and neighboring Fort Myers Beach to grow together, and realized that Foley and Gulf Shores would eventually do the same. With that fact in mind, in the late sixties R.C. purchased the corn and soybean fields that would one day become Craft Farms Golf Resort. While the beach life was booming, the gladiolus farming was beginning to sputter. A labor market that was becoming more competitive meant fewer workers for the labor-intensive glad farming. Cheaper South American flower imports were also cutting into gladiolus sales. While R.C.’s farming was declining, his son’s was increasing. Robert had purchased a local sod farm operation in the mid-seventies, and the combination of his youthful energy and his father’s business and farming smarts soon had the Craft family turning the area green. Robert would sell and R.C. would supervise the growing, with no small amount of afternoon golfing thrown in. A coastal land rush that produced high-rise condominiums and beach rental properties along the Alabama coast had rendered R.C. corn and soybean fields too valuable to just farm, so the Crafts decided to build a golf course. But therein lay a problem. Two sod farmers don’t just walk into a bank and snag $3 to $5 million to build a golf course. But two sod farmers with a world-famous athlete behind them just might walk away with the backing they needed. Arnold Palmer was the blue-collar golfer with the golden touch from Latrobe, Pennsylvania who was as popular as he was successful. If Arnold signed onto the project, financial backing would follow. The Crafts needed their big name. Palmer Management was looking to get into the golf course-management business. A few talks and meetings later, Arnold Palmer was landing at Jack Edwards Airport to check out this new Alabama golf course. R.C. was the son of a farmer. Arnold was the son of a golf course superintendent and pro. Both had ties to the earth. Both had a passion for the golf. But there was more to the connection than that. Arnold and R.C. looked alike, both physically and when they swung a golf club. R.C. was even called “Arnie” by his golfing buddies. So Arnold Palmer and “Arnie” Craft, riding in the same golf cart, began to tour the facility. But instead of looking at fairways and greens, Arnold became interested in the sod harvesting taking place nearby. Soon, instead of touring the golf course, Arnold was receiving sodding lessons from R.C., to the point that Arnold was riding the sod cutter, getting his hands dirty. After Arnold’s sod-harvesting education was complete, the golf tour resumed, but the decision had all but been made. After touring only a few holes told R.C. that the deal would be done. The former Georgia farm boy and the world-renowned golfer had hit it off, and the Alabama Gulf Coast would never be the same. R.C. passed away in 2006, but the confirmation of his vision lives on. Just as he imagined, the Alabama coast is sleepy no longer. Visitors to Craft Farms Golf Resort are only a few tee shots away from upscale shopping, fine dining, luxurious hotels and a world of entertainment choices. The bond R.C. forged with Arnold Palmer resulted in deft design touches that distinguish the only Palmer-designed golf courses in the state. The stately Cotton Creek Clubhouse breathes Southern hospitality and beauty, as well as meals that any Southern grandmother would envy. All because two big personalities with two big visions got their hands dirty harvesting sod. Arnold recognized that this was somewhere he needed to be. Come to Craft Farms, and you’ll feel the same way.